Dr. Daniel Derrico has a B.A. and an M.A. in History, and an Ed.D in Higher Education Administration. He has forty years of experience as a community college administrator in three states: New Jersey, Florida, and Texas, all in large, urban community colleges. He has most recently served as Interim Chancellor (CEO), and as Vice Chancellor for Administration and Finance for the Alamo Community College District (now called the "Alamo Colleges") in San Antonio, Texas. Dr. Derrico has been a campus Dean for Administration, and the District Associate Provost for Operations for Miami Dade College in Miami, Florida. At Miami Dade College he also held the academic rank of full professor, teaching courses in Social Studies (including sociology, economics, and American foreign policy), American History, and Macroeconomics. He has recently served as an adjunct professor in the Ph.D program in Higher Education Leadership for Barry University in Miami Florida, teaching several courses in organizational change/leadership, and in program planning and evaluation. Dr. Derrico has served as a consultant on community college finance and budget. He is currently an adjunct faculty member in the John E. Roueche doctoral program in Community College Leadership for National American University (NAU). In 2014 he created the syllabus and taught the first course in this doctoral program in Finance, Budget, Strategic Planning, and Resource Development. He created much of the reading material for this course, including the main reference textbook. He is currently serving as a faculty member on the doctoral dissertation committees for two of the current students in this program. From 2014 to the present Dr. Derrico is serving as the Vice Chairperson of the City of Hollywood (Florida) Educational Advisory Committee, which is appointed by the Hollywood City Commission. 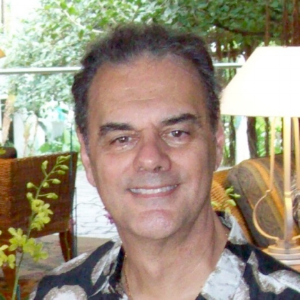 Dr. Derrico began his career in education as a teacher at Fair Lawn High School in New Jersey. He taught American History, European History, Introduction to Business Studies, Sociology, and Economics. He was also the faculty advisor to the Student Government Association. He was a member of the three-person Faculty Union collective bargaining team that was selected by the faculty to negotiate with the Board of Education the first union contract under the first New Jersey education collective bargaining law. Dr. Derrico has received numerous awards for his administrative and leadership skills, including the University of Texas College of Education Leadership Excellence Award (1985), the Saint Philip's College Faculty Senate Excellence in Leadership Award (2006), Miami Dade College Peer Recognition of Excellence Award (1985), Falcon Times Editor's Award - Newsmaker of the Year (1975), American Business Women's Association (Miami Chapter) - Boss of the Year Award (1972), and the Silver Circle Award, Alpha Omega Fraternity (1972). Dr. Derrico is a past member of several professional educational associations, including the American Association of Collegiate Registrars and Admissions Officers (AACRAO), Florida Association of Collegiate Registrars and Admissions Officers (FACRAO), Florida Association of Community Colleges (FACC), National Education Association (NEA), New Jersey Education Association (NJEA), American Association of Community Colleges (AACC), and RC 2020 (Renewal and Change 2020). Dr. Derrico is the co-editor and co-author of a book published in 2011 by Palgrave Macmillan: "Increasing Effectiveness of the Community College Financial Model: A Global Perspective for the Global Economy." He currently lives in Hollywood, Florida with his wife Debra. They have two adult children - David Derrico and Daina Derrico-Sanders.